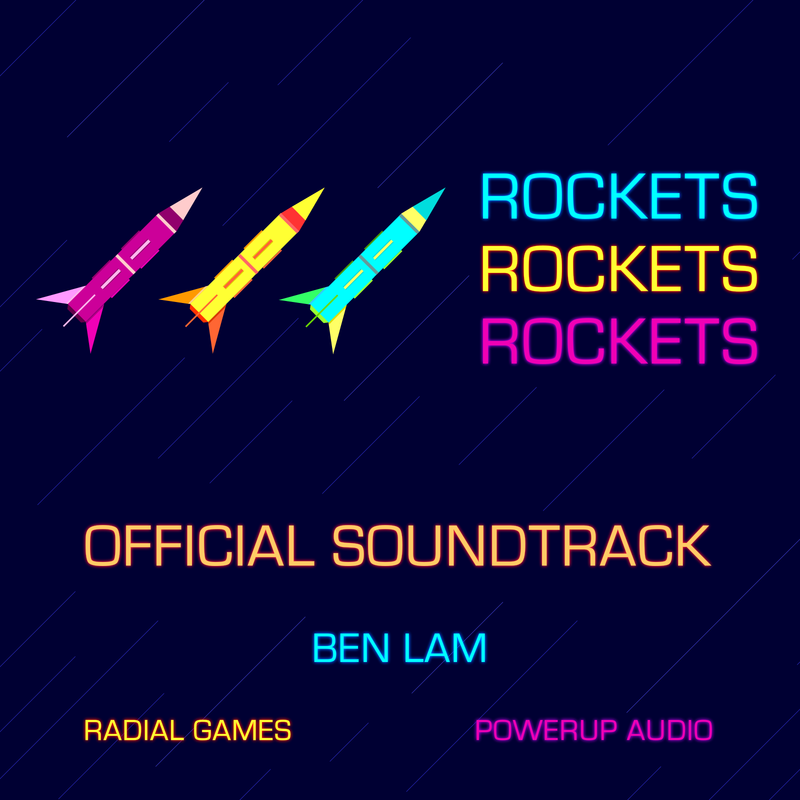 After having played ROCKETSROCKETSROCKETS for a while, I became quite impressed with the soundtrack that I just had to grab myself a copy. Turns out that the soundtrack is available on Steam and at $7.99 USD, it's actually one dollar dearer than the game itself; so either that's a good sign that the soundtrack is pretty damn good or a bad sign since the game isn't even worth the value of its own soundtrack. I like to believe it's the former. There aren't many tracks on this album, only 10 to be precise, and out of that 10 only 8 of them are actual tracks that are used in the game. The game comes in a folder appropriately named "Soundtrack" and is available on Steam as DLC. You'll get 10 320kbps MP3s as well as a PNG file with some very basic album art (as shown above). The best tracks on this album tend to be the ones that seem inspired by the likes of Daft Punk and Justice (both French electronic music duos that dabble in French House and nu-disco) such as the playful "Catch Me If You Can" which is a mixture of chiptunes and Justice-like percussive bass segments, "Electrofiend" which sounds like something off Daft Punk's "Discovery" album and, last but not least, "Solar Blaster", a very danceable mix of Daft Punk and chiptunes that really hits the roof at 1:00 with some subtle traces of dubstep and a weird melodic cacophony of video game sound effects (I know that's an oxymoron). Other notably good tracks are "Meteor Storm" which sounds like a track Frank Klepacki would compose, if he were working on the soundtrack for an indie shoot ‘em up, and "Warp Damage" with badass synths straight out of an 80s action flick. "Outer Zen", despite being very different to the other tracks on this album, is also particularly good; it's a beautiful, serene mixture of soothing electric guitar accompanied by blips and bleeps – perfect for the game's cruisey "Zen mode". 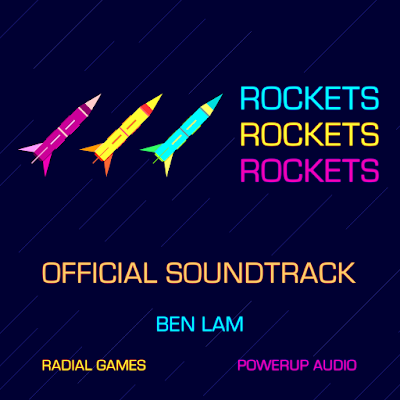 However, it's not all smooth sailing: one of the things that irked me about this album is that I really wanted there to be a longer version of the main theme, "ROCKETSROCKETSROCKETS" but it's only 45 seconds long which is pretty much the in-game version that would loop while you loiter around on the main menu screen. It's also debatable whether the so-called bonus tracks are really worth it since "Ambience by Power Up Audio" is just that – 15s of filler and "The Original Soundtrack" is just somebody singing the Star Trek: TNG theme – no, I'm serious. There are quite a few good tracks on this album especially if you like chiptunes and French House. Ironically, despite trying to add more "value" to the soundtrack with the two bonus tracks, I think the album would've been better off without them and their inclusion has adversely impacted the final score. If you're interested in purchasing the soundtrack, it's available for $7.99 USD on Steam.